​Summer 1977, Oriel Anderson finds herself on the charming Greek island of Helios hoping to fulfill a long held dream or joining an archaeological dive team. Broken hearted after her university fiancé leaves her for her best friend, Oriel is determined to prove she can make it in a man’s world by heading up an all-male dive team on her first underwater dig. Spending her days excavating a Roman shipwreck, surrounded by turquoise waters and scorching sunshine, Oriel thinks that she has found paradise, until she meets her employer and the owner of the Island, Damian Lekkas. A widower, with a scarred face, Damian is a brooding presence on the island who instantly takes a shine to Oriel, but Oriel resolves to maintain a professional relationship between them. But the mercurial Damian has other ideas, and Oriel’s stay soon becomes a battle between her head and her heart. When strange things start happening Oriel doesn’t know what to think. She learns that no other women who had come to work on the dive had lasted more than a few weeks, a young boy almost drowns on one of her dives, then one morning Oriel finds a dead songbird in her room, its throat slit. Finally out exploring the beaches Oriel becomes trapped in a cave. Is it all just a coincidence or is someone trying to send her a warning? First let's start off with how much I love this cover. It is beautiful. If I saw this book sitting on a shelf I would have definitely stopped to look at it just because of how pretty the cover art is. It is a big book, almost 600 pages, (something we will talk about more in a minute) but when you touch it and swoon over the cover it doesn't feel so daunting and is totally inviting you in for an adventure. I really enjoyed that this book is set in the 1970's. I think that gives the author a little bit of leeway in the actions of her characters and the setting she is creating that she wouldn't have necessarily been able to pull off if it had been in this time period. Due to politics, etc Greece of the 2000's has lost (in my opinion) some of its magic and she was able to bring that back to me by pushing the time period to an earlier era. It also enables her characters to act in ways that would not be appreciated by others in this day and age, though we also have to keep in mind that an American mindset does not always translate to Greece (or any other country honestly, ha) mindset. The seventies were a time of exploration but also a time that was still rooted in many 'old-fashioned' points of view. I appreciate as well how well Ms. Fielding remains rooted in that time period, not slipping into mannerisms or attitudes that would be standard today that were not then. It is easy to let today slip into yesterday, but Ms. Fielding does a wonderful job of staying true, not an easy task I am certain. I also loved the 'feel' of the book as I read. You are taken on a journey with the characters to Greece and are given all the senses in a way that makes you feel as if you had truly been there. Her descriptions are beautifully detailed and bursting to life on the pages. This however is also where I get a little stuck and it is simply that at times things can become bogged down in the descriptions, they can become overwhelming (hence, 600 pages) and you may find yourself skipping along to get back to the 'good' stuff. Oriel is a British Archeologist who specializes in Greek history who has been given the chance to fulfill one of her lifetime dreams of joining a Greek archeological dive team, (who is going out to sign up for their own dive certification now?) surprisingly her boss on this adventure turns out to be a past one night stand, a one night stand that she has never forgotten, but now she can't let herself go back down that path. Damian is the owner of the island that Oriel finds herself exploring and not only that but he has a very different the on how their relationship or lack there off. I loved the excitement that everyone had over each discovery, the fact that Oriel and Damian are able to in a way come together over their shared love of history. (something I throughly approve of, ha) I enjoyed the build up of their romance and in particular the suspense that is wrapped around it. There were times when the angst gets heavy but it is truly what I would consider an epic love story, one that will have you oohing and awning, with a whole lot of swooning too. This is the first book I have read from Hannah Fielding and I have to say that I throughly enjoyed it, despite the length of the book, ha. 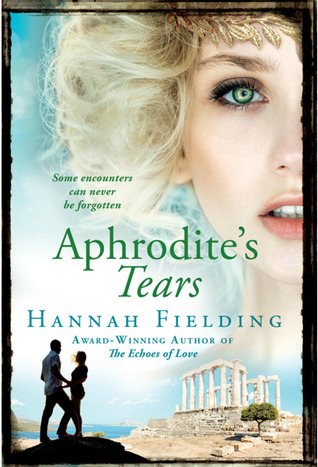 Aphrodite's Tears is a sweeping tale of romance, mystery, discovery, and passion and not just the romantic kind. You will fall under it's spell and find yourself immersed in a whole new world that plays out like one of the classic soap operas that we all loved of the 1980's (dating myself, sigh). You will fall involve not only with the main characters but also with the island itself. You will have plenty of characters to round out the cast with some you love and some you hate. This is the perfect read for your spring break beach weekend. Grab a beach chair, a towel, and a glass of wine then settle in for a wonderful adventure! ABOUT THE AUTHOR — ​Having already had huge success as one of the UK’s leading romance authors, “Aphrodite’s Tears” follows the award winning success of Hannah Fielding’s previous novels “Burning Embers,” “Echoes of Love,” “Masquerade,” “Legacy” and “Indiscretion.” “Echoes of Love” won Romance Novel of the Year at the IPB Awards in 2012. With its spectacular setting and deep emotional drama, Aphrodite’s Tears will appeal both to fans of her backlist, as well as lovers of atmospheric travel writing including Santa Montefiore, Penny Vincenzie, Victoria Hislop and Lucinda Riley. 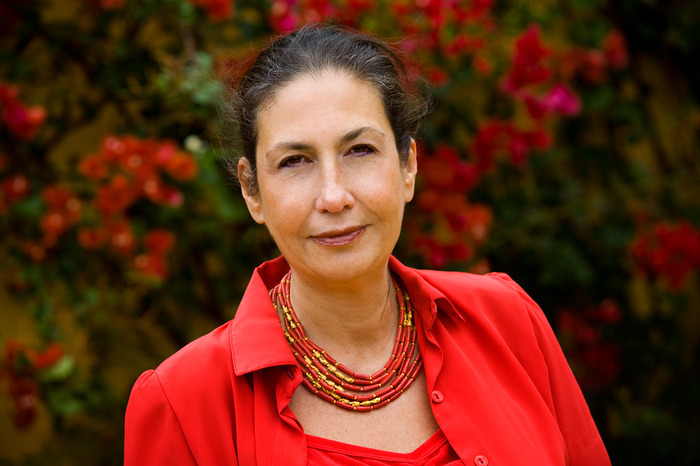 Egyptian by birth, Hannah is fluent in French, English and Arabic and has lived all over the world. She currently lives between her writing retreat in the South of France and her rambling family home in Ireland. Hannah’s grandmother, Esther Fanous, was the revolutionary feminist writer in Egypt during the early 1900s and helped found the Women's Wafd Central Committee in 1920.